I could be accused of having 'baby brain' at the moment, but really, who could resist this gorgeous vintage pram design? 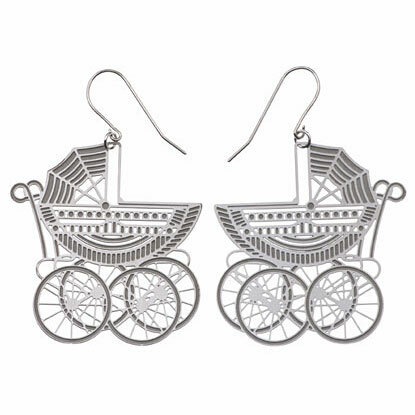 These earrings feature lovely etched detail in the basket, framework, bassinette hood and all those slender spokes... So sweet! Matching necklace is listed separately.